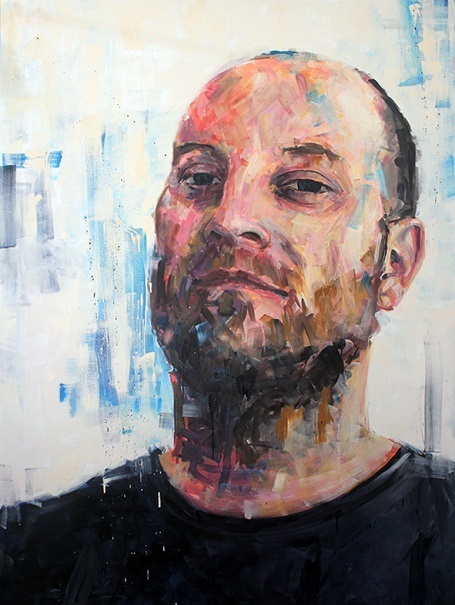 In a unique and novel collaboration, blurring the line between the arts and mental health research, artist Joe Lander (pictured) and Macquarie University’s Centre for Emotional Health are working towards an exhibition of a series of 30 portraits of men of all ages who have experienced and recovered from depression, anxiety and/or suicide. Suicide is the leading cause of death in males aged 15-44 (ABS, 2016). Perceived stigma and poor mental health literacy are significant barriers that prevent men with depression and anxiety from seeking help. Research suggests that interventions and programs involving contact with people who have recovered from mental health problems result in a significant reduction in mental health stigma and may encourage help seeking. We are inviting applications from males of all ages and cultural backgrounds who are interested in being the subject of a portrait. Each portrait will be accompanied by a written narrative, detailing each person’s story and recovery. In addition to meeting with the artist, subjects will be required to be video interviewed. Please answer the questions outlined in the application form, below. Your completed application should be submitted as one Word or PDF document in 12pt font. At the bottom of this page there is an area to upload your Word/PDF application and a button to submit your application.